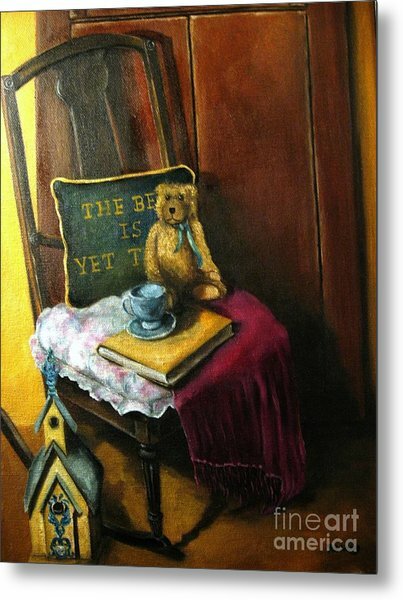 The Rocking Chair is a painting by Patricia Lang which was uploaded on November 19th, 2012. 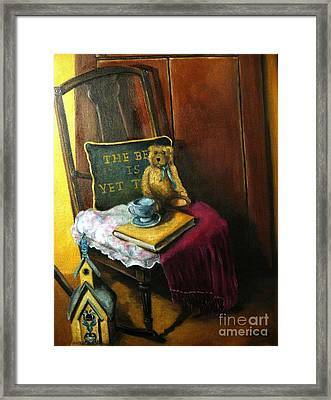 A still life painting of an antique rocking chair, with a teddy bear and tea cup nestled on the seat, and a birdhouse next to the chair, on canvas. Thank you for your comment. The chair belonged to my step-father and is an antique. I wanted to create a warm and inviting setting. 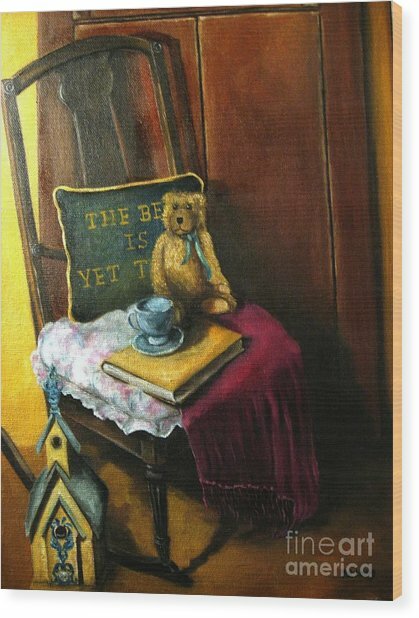 Just a step into a scene where the reader had set down their cup of tea and book and stepped away for a moment in time. 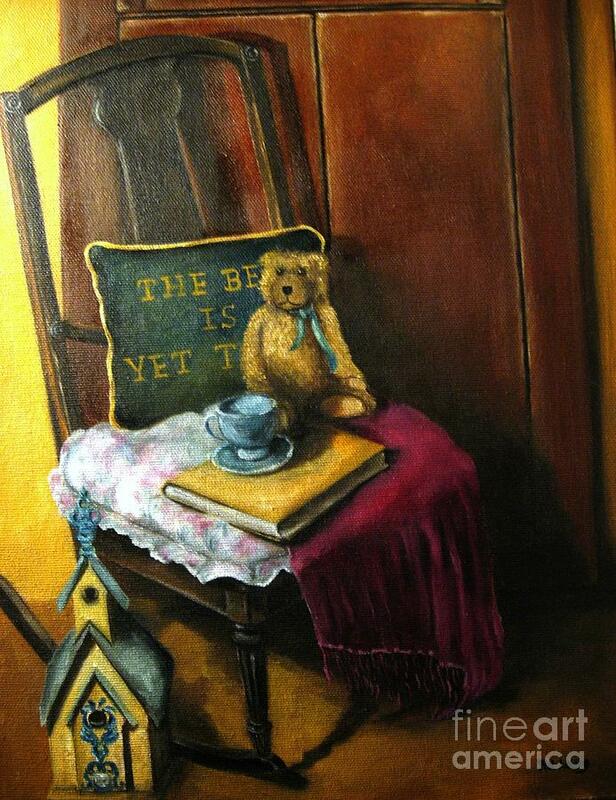 Very sweet and beautiful atmosphere!